Social Media has come a long way. If you type the URL for your episode into a post, it’ll automatically fill in artwork from your episode! 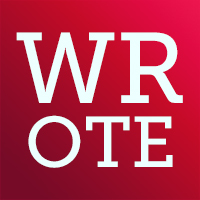 If you have other graphic needs, please contact info@wrotepodcast.com and we’ll get you what you need.